Primus Telecommunications Group, Incorporated (PTGi) provides advanced communication services to residential, business and carrier customers around the globe. From traditional voice services to VOIP, and broadband to data center services, we bring sophisticated solutions to residential, small and medium business, enterprise, and multinational business customers all with a focus on integrity, innovation, and the highest level of customer commitment. Peter D. Aquino, was named Chairman, President and Chief Executive Officer of Primus in October 2010. Mr. Aquino has devoted his career to building and restructuring telecommunications services providers, most recently serving as President and Chief Executive Officer of RCN Corporation, a provider of digital video, high-speed data, voice, and high-capacity transport to residential and small, medium and large enterprise and carrier customers from December 2004 to August 2010, leading RCN from emergence of bankruptcy through its sale. Prior to joining RCN, Mr. Aquino was Senior Managing Director of Communications Technology Advisors LLC, focused on restructuring telecom and media companies from 2001 to 2004. Prior to this, he was the Chief Operating Officer of one of the first Triple Play companies in Latin America -- designing, building, and operating an integrated cable TV and competitive local exchange carrier throughout nine major cities in Venezuela from 1995 and 2000. Mr. Aquino began his career at Bell Atlantic (now Verizon) in 1983, holding positions in finance, marketing, regulatory and corporate development. 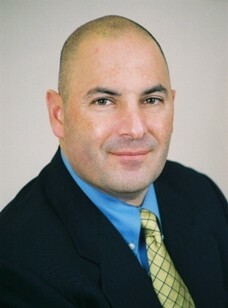 He joined Primus' board in July 2009 and serves on the boards of TiVo Inc. and the United Way of America. He is a graduate of Montclair State College in NJ, and holds an MBA from George Washington University in Washington, DC. CEOCFO: Mr. Aquino, what is the vision at Primus Telecommunications Group today? Mr. Aquino: The vision is to be a leading telecom provider of consumer Small to Medium-sized businesses (SMB) and enterprise products and services over traditional facilities including fiber throughout the country of Canada primarily. We also have infrastructure investments in eight state-of-the-art data centers that are the jewel of the crown, which is addressing demand for broadband of the future and storage requirements as the internet and data grow in this country and Canada. CEOCFO: Where are you in becoming the leader; and who will you work with to achieve that goal? Mr. Aquino: PTGI�s main division called Primus Canada uses state-of-the-art products and services from storage in datacenters in Canada so the traditional tier-3 datacenter requiring redundant facilities and the proper environment and protection for company storage requirements, are the forefront of our day-to-day work. We want to make sure that what we are building in a tier-3 environment will be attractive to not only small and medium businesses but enterprises who need to find a way to store their primary data and secondary data, backup data and recovery data off site and have quick access to it through fiber networks. Our ability to provide those types of facilities and using state-of-the-art technology to do so makes us very competitive even with some of the biggest providers of datacenters in Canada. We are a complete company in the sense that we provide network facilities and we provide storage facilities today. CEOCFO: How do you keep up with the latest trends? Mr. Aquino: Our employees! When it comes to telecom, the management team both in Canada and in Virginia, are very experienced. They come from the industry and we are talking about the biggest players in the industry. They are very entrepreneurial so the latest equipment that incumbents can buy, we can buy. The best engineers that are available work in companies like ours. We have the architects, we have the engineers, we have the process people that big companies tend to have as well, but we have them in our small entrepreneurial company and we are trying to be as aggressive and competitive and customer service friendly to make a difference. We have a state-of-the-art alternative that has inside an entrepreneurial spirit to attract very good customers to our network and they get the service for which they are looking for from a great management team. CEOCFO: Who is your typical customer? Mr. Aquino: We have three segments that we address, we address the consumer base so typical consumers across Canada are our customer. We give a very strong attention to the small and medium business customer and many times the incumbents leave that segment to everybody else. They address the enterprise for the most part and the big customers and sometimes that small and medium business customer is not getting the attention; we focus on that, it is a sweet spot for us. Ultimately, through our datacenters because they are Tier-3 in many cases, they also are attractive for enterprises whether it is big institutions, or even at some point government customers, big commercial customers which is a specific segment. In addition, we have been building our own fiber networks in Canada and we have been a very good alternative in the central business district for the future whereby we have our own fiber and can bypass the incumbent and provide another facility for safety and redundancy relative to other providers. Therefore, that allows us to address all three segments, the consumer, the small and medium business customer and the larger commercial customers. CEOCFO: What is the breakdown between the segments and where do you see the most growth? Mr. Aquino: Generally, we are 60% consumer and 40% business and that would include small and medium business up to corporate customers. I think over time that 60%/40% consumer business is probably going to slip to 40%/60% over the next few years. It is going to flip probably in the way of profitability, it is going to flip exponentially in the way of demand and products and services and it is literally because we are growing for the most part in the business sector. On the consumer side, we are also holding our own. There have been some declines in typical access lines and long distance and local phone services and that is pretty much industry wide. We see those trends and we try to embrace that trend just like the biggest companies including Verizon and Bell Canada. The growth side of the consumer base is really the internet and providing dedicated access to the internet and internet speeds that are very hard to dispose of even in a bad economy. In addition, our fiber deployment strategy is going to allow us to offer down the road fiber to the home, so you could be a consumer with fiber products on the internet side and voice over IP phone service that frankly is very cost effective and is very robust. You can imagine today as the household is streaming videos, the kids are doing homework and there is a lot of searching going on. CEOCFO: What is the top reason that people will switch to Primus? Mr. Aquino: It is almost the same typical sound bite you may hear in places like in the states where some folks are tired of the incumbent, maybe not getting the attention of the big company and someone who is the alternative and focused on customer service, gets the attention. We can compete, we have great products and services and they are competitively priced. The secret sauce is really attention to detail when it comes to the customers and that we believe allows us to be very effective and competitive. CEOCFO: You won the Maverick of the Year Gold Stevie in June; what changes did you make over the previous year that put you in a position to be recognized? Mr. Aquino: Strategically the headquarters team is mindful of the portfolio of assets that we had in our collection when I first started. We did a strategic review of things that are helpful to the company, had a sustainable advantage in the future and our profitable and have a growth aspect to them. What we found as management team when we came in 2010 was that the company was somewhat spread all over the place with not a clear focus on which parts of the portfolio were productive and which ones we needed to divest. The restructuring mindset and strategic mindset of the senior team was the key to success here and certainly caused a great turnaround that allowed the company to get healthy again and focus on key markets. A case in point, when we got here we were in several countries in Europe. We also were in Brazil, Australia and Canada as well as parts of the US. We tried to get a clear focus of the best assets in the company and which ones had the sustainable advantage, which ones can we effectively compete in. We learned that Canada had very strong profitable profiles in its product set. It had advantages in the marketplace where it could compete effectively. It was well known and well respected, it wins customer service awards for performance. Canada is a great place to focus. Australia which was our other big asset, contributing half of the profitability to the company was another very good asset, much like the profile of Canada. We found that the geographic difference between Canada and Australia are a world apart and that suggests we need to focus in North America. We found the strategic buyer in Australia, which made their business stronger and here we are now divested out of Europe, Brazil and Australia. We are now very strong in North America through Primus Canada and our US retail assets in Canada, which is a Voice over Internet Protocol (VOIP) platform. CEOCFO: Are there any services you would like to add? Mr. Aquino: When it comes to our platform, VoIP, Internet, Hosted PBX services, fiber provided services such as Carrier Ethernet and high capacity fiber services are things that we focus on and are growing. From a new product set, anything on fiber that can be an enhancement to traditional copper services or resold services is a place where our product set is going to be growing. On the data center side, the products and services that are on the horizon, and we are in them now but going to be more so in a big way, are things like cloud services and managed services that are value added to traditional products and services that we have in our current data centers. Data centers would house many different cabinets; facilities and equipment that others just want to have off-site. But the value added in the data center, when it comes to cloud platforms, virtual storage and having somebody manage that for you so that you do not have to physically have equipment there, i.e. you have virtual space, that is the future and that is where we are focusing on our data centers. CEOCFO: Would you tell us about Lingo here in the US? Mr. Aquino: Lingo is a similar product to Vonage in the sense that you would have a high speed internet provider in your home and we mail you an adapter, which is a small device you connect to your modem or router at home. You will then have VoIP phone service just by taking a phone and connecting it to the back of the adapter. It is very cost-effective in the $25/month range, similar to the price point of Vonage and you can dial local, long-distance and get very good packages for international calling. We are able to provide that service wherever high speed internet service is available in the United States as well as throughout Canada. Lingo is a very nice add-on product to your internet service. We like that product, it is a very profitable product and we will continue to grow it. CEOCFO: What is the financial picture like today for Primus Telecommunications Group? Mr. Aquino: It is a bright future. We have been improving our portfolio and balance sheet for the last 2 � years so today we have very little debt on the books. We began with over $200 million plus of debt. Our net debt profile is probably around $50 million, which is a great improvement, so our balance sheet health is very strong. Our EBITDA profile is very strong as well and improving. Our cost structure is improving and some of the overhead is coming way down. We are cash flow positive and that is a very healthy aspect of the company. We could invest in the required capital program for things like our datacenters and still have cash. Presently we are excited about our new profile and our healthy balance sheet and we are listed on the NYSE as PTGI. CEOCFO: Has the investment community paid attention as you have restructured? Mr. Aquino: They are very aware of what we do. The beauty of being a public company is that everything you do, the material is going to be disclosed and they will be able to follow very well. Richard Ramlall does an excellent job as our investor relations officer, he is here with me today and Richard wears many different hats between PR, IR and regulatory he is a very busy man. Our goal is to be available for investors through the typical public requirements, earnings, calls, conferences, webcasts, as well as engaging through social media so everyone can easily follow us. I think we do a good job with that. Mr. Aquino: The main thing is to keep our eye on the economy. Business segments and consumers are affected by trends in the global trends and the broader trends. We watch currencies. I think that the country we are in today in the case of Canada has a very strong currency relative to the dollar and that is very good so the stability of location is great. Certainly, you always worry about being competitive and having that entrepreneurial spirit to keep the energy up to keep thinking and staying ahead and try to stay ahead of the curve. You do not want to be complacent and when you are the alternative provider to very big companies, you have to be that much more committed to staying ahead of the trend. CEOCFO: Why should the business and investment community pay attention to Primus Telecommunications Group? Mr. Aquino: We focus on growing the company. We focus on creating value as well as shareholder value. I think we are doing the right thing to make the company healthy and productive and look for opportunities for the company as we move forward. I think investors and customers alike should view the company as one operated efficiently and has a great management team across the board. We focus on creating sustainable required products so that we can provide a service that is needed in our communities. I believe we are providing very good products and services and ones that in some ways provide a savings relative to incumbents, in other ways provide flexibility, better customer service and improve someone�s effectiveness through their schoolwork, homework, or their company�s efficiency. We like to believe that we are making it better for the different segments that we address. CEOCFO: What should people remember most about Primus Telecommunications Group? Mr. Aquino: It comes down to the people who are involved, the employees who are committed to making Primus a success. I am proud of our employees, they are smart people and very dedicated and I could not ask for more so I think any success the company has or the senior team is related to the broader base of employees who come to work every day who try to make Primus a success.